Video: What are Scotland’s chances of winning the Six Nations? This year’s competition kicks off with Scotland travelling to Wales on February 3rd. Rugby fans will have a measure of Gregor Townsend’s managerial metal when the 2018 6 Nations kicks off in February. Townsend’s first test pits Scotland against Wales at the Principality Stadium on February 3rd. It looks like Wales will be down two star players with Hallam Amos and Dan Lydiate looking unlikely to appear against Scotland in Cardiff. 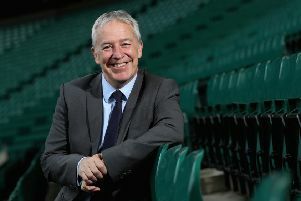 Murrayfield will host France eight days later, with Scotland sustaining a healthy win record against Les Bleus at home. The 2017 win over Ireland will surely go down as one of the most thrilling encounters in recent memory, but don’t expect Ireland do go down without a fight at the Aviva Stadium in Dublin. Overcoming Italy is normally a formality for Scotland, but the Italians will have their guard up to prevent another 29-0 demolition we saw in 2017. Then we have England - the back-to-back 6 Nations champions are holding on the Calcutta Cup with sticky fingers. With all the might of Murrayfield support behind them, fans will be hoping Gregor Townsend will be the secret ingredient to overcoming the southern visitors.